With record iPhone sales in Apple's June quarter, the largest growth actually came from the company's mid-range handset lineup, which is represented this year by the colorful iPhone 5c. Apple Chief Executive Tim Cook revealed on Tuesday that year-over-year growth rates comparing the iPhone 5c to last year's performance of the iPhone 4S show the greatest growth. That means that the share gains seen by the iPhone 5c outpaced those of the 2014 iPhone 5s vs. 2013 iPhone 5, and also bested the 2014 low-end iPhone 4s vs. 2013 iPhone 4. Cook characterized himself as extremely happy with the performance of the iPhone 5c, which starts at $99 with a new two-year service contract. It comes in a plastic back available in a range of colors, but lacks the A7 processor and Touch ID fingerprint sensor found on the flagship iPhone 5s. Though Cook didn't offer specifics as to how sales of each available iPhone model broke down over the June quarter, the comments seem to suggest that the iPhone 5c's share of total handset sales for Apple have been improving since the mid-range smartphone launched last year. For example, early this year Cook said that iPhone 5c sales up to that point represented a lower share of overall sales than the company had expected. There's also evidence that the iPhone 5c may be playing an important role in attracting Android users to switch platforms. And while critics have been quick to attempt to position the iPhone 5c as a "failure," data suggests that the device has been outselling flagship Android devices, as well as every BlackBerry and Windows Phone device. Apple on Tuesday reported total iPhone shipments of 35.2 million in the just-concluded June quarter, representing 12.7 percent year over year growth and setting a new quarterly record, but still coming in on the low end of Wall Street expectations. 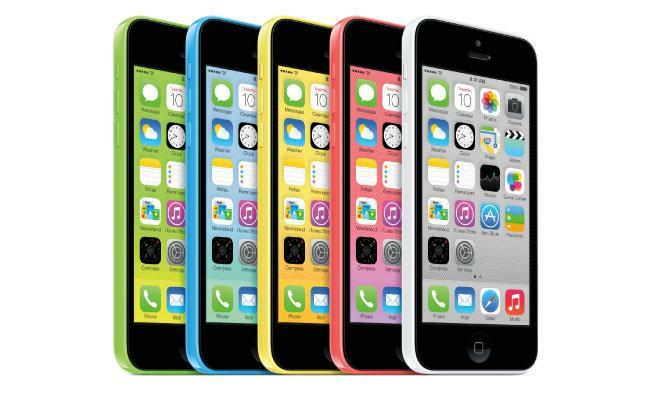 Exact sales of the iPhone 5c are unknown, as Apple declines to break down statistics on individual models for competitive reasons.